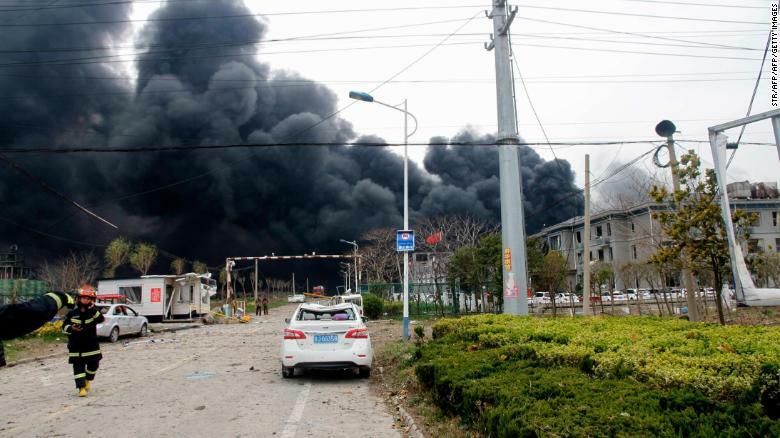 Beijing: On Thursday, A huge explosion killed 64 people inside a chemical plant in eastern China, more than 90 people were injured in the incident. Firefighters were still fighting against small fires until Friday, it took the fire fighters one night to put the main fire out. 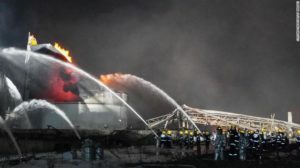 A drone clip from China’s emergency management ministry showed the industrial area that is just outside the Yancheng City in the province of Jiangsu covered with firefighting foam, the footage also showed storage tanks turned to twisted metals and buildings that had torn roofs. Authorities said that dozens of fire trucks and more than a hundred of firefighters were in the area, the incident was reported on Thursday afternoon. The explosion in the chemical factory was so powerful that the seismological bureau detected a small earthquake in the industrial area. Cellphone Videos, CCTV’s, and news channels showed clips of windows blowing out in a nearby building when the blast happened, witnesses said that the impact was felt 3 miles away, others suffered cuts from shattered glasses. There are a couple of schools near the chemical plant, a kindergarten school is located just a mile away. Authorities said that the explosion was caused by Benzene, a flammable and toxic compound that is classified as a carcinogen. Last year, the pesticide factory failed the safety inspection that was done by the government. Environmental experts set up devices that were used to monitor the areas after the blast happened, the experts said that strong winds created a favorable condition for the toxic air to dissipate. The police have arrested relevant personnel that are involved in the huge explosion. President Xi Jinping of China, who is currently on a state visit to Italy, asked the rescuers to keep on working and has ordered the officials to draw immediate lessons from the explosion. 4 years ago, in August 2015, 160 people were killed after a container storage facility had a number of chemical explosions, the incident injured around 800 people. 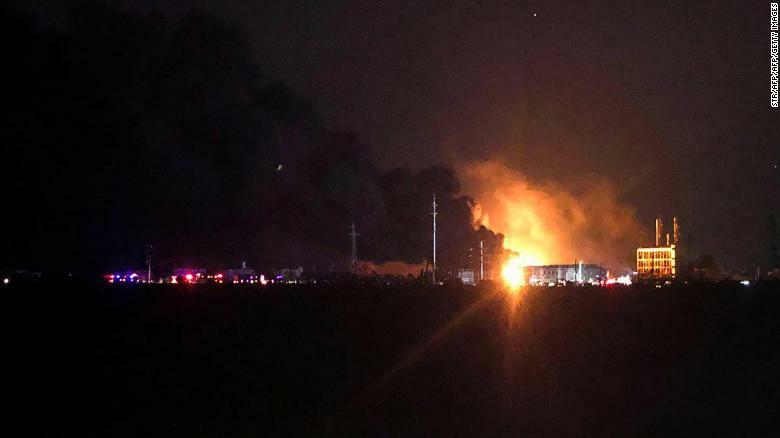 Investigations were conducted for months that later on revealed the cause of the explosion, the investigation revealed that an overheated container that had flammable dry nitrocellulose was the first to explode, the fire went uncontrolled for a couple of days. The police arrested and sentenced 50 government officials, company executives, and employees for the roles in the major explosion that killed 160 people, they were also blamed for lax safety standard and corruption.